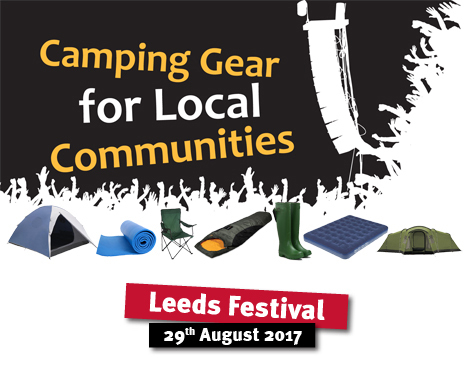 EXTENDED DEADLINE – We’re back at Leeds Festival this year, to salvage good quality reusable camping equipment for local community organisations. When? 29th August (11am-1pm) … save the date! 2.Download the application and send it fully completed by Tuesday 22nd August. Click here to download the application form. 3.We’ll let you know if your application has been selected by the 23rd August. 6. If selected you will just have to come on Tuesday 29th August, between 11.00 and 13.00, with a big vehicle to pick up your order!